Renovations to Quebec City's Les Galeries de la Capitale shopping centre have been ongoing for the past couple of years. The centre saw a 7.75% increase in traffic in 2017 as it added new stores and others were renovated. 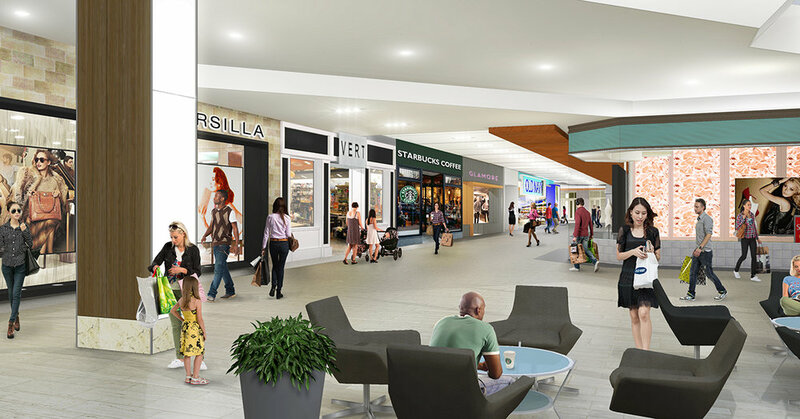 This year will be an important one, as well — renovations to the mall’s common areas will be completed, its Méga Parc amusement park will reopen, and La Maison Simons unveil its first net-zero department store. It’s all part of a plan for landlord Oxford Properties to attract more shoppers to the centre, explained the mall’s General Manager Stephan Landry. It’s already been a success — the centre’s renovated food court (called ‘Espace Gourmet’) is now one of the most productive in the country, and new stores are being added as retail space is reconfigured. The modernization strategy commenced about three years ago, with more than $200 million in investments having been announced for the centre’s retail and entertainment components. 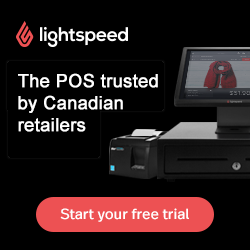 The Canadian retailer has unveiled its first store that uses industry leading technologies to eliminate its carbon footprint — in a beautiful space that once housed a Target store. Recent improvements have resulted in a significant increase in foot traffic, with more changes on the way including an overhauled amusement park as well as the country’s first net-zero department store. Quebec’s largest mall is on the cutting edge of the industry’s latest trends, including adding a zero-carbon department store and a revamped amusement park with the 1st spokeless Ferris wheel in North America, and the longest indoor skating trail in Canada. The Canadian footwear retailer plans to continue opening stores over the next several years. Last year was an important one for Les Galeries de la Capitale. Twelve tenants renovated their stores at the centre, including a full renovation to its 163,000 square foot Hudson’s Bay anchor — Mr. Landry says that it is now the most attractive looking Hudson’s Bay store in the company. As well, 13 new stores opened at the mall last year, including Sephora, Urban Planet, Bijouterie Monaco, Clarks, Rinascimento, Soft Moc, MEC, BonLook and L'Occitane en Provence, among others. As well, Telus opened its first “Connected Experience store” in the province at Les Galeries de la Capitale last year. Expanded food and beverage offerings at the centre include the newly opened restaurant-pub Le Balthazar — known for its expansive selection of beer, it’s the first location in Quebec City for the Montreal-based chain. Oxford Properties is dedicating more space to food and beverage establishments than ever before, recognizing that it helps attract visitors and retain them for longer. 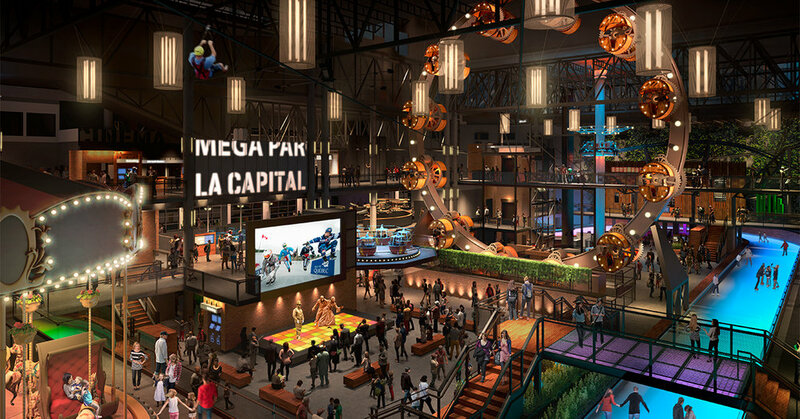 One of the mall’s most unique features, its Méga Parc amusement park, which closed temporarily in September as part of a $52 million overhaul that will see the 30-year old Méga Parc transformed into a Steampunk themed "entertainment zone inspired by the Industrial Era”. Construction is expected to be completed towards the end of this year and in the meantime, some of Méga Parc’s attractions can be found temporarily placed throughout the centre. Further driving traffic to Les Galeries de la Capitale is its popular IMAX theatre, which is the largest in Canada, and the only one in the area. Les Galeries de la Capitale will continue to see construction into 2018 and beyond, necessitated partly because of the relocation of one anchor, as well as the closure of another. La Maison Simons is relocating its 45,000 square foot store to a new $50 million, 80,000 square foot space that will open in March of this year. The replacement store will be the first in the company to be zero-carbon, in a space vacated by Target in 2015. The remainder of the former Target space will be occupied by nine smaller retailers, with one of them confirmed to be a 2,200 square foot Jean-Paul Fortin shoe store, expected to open in April. The mall’s former Sears space, which was vacated this month (along with the rest of Sears Canada’s stores) will also need to be repurposed. Plans have yet to be revealed for the 185,000 square feet that Sears occupied in the centre. An impressive 14 new stores are confirmed to be opening in the centre over the next several months. Coffee retailer Nespresso will open in the mall in February of this year, and footwear brand Sketchers will open its first store in the Quebec City region in March. Michael Kors will open a store in May, and beauty brand MAC Cosmetics is confirmed to be opening a store there in September. As well, Quebec City’s first location for the Montreal-based Mahée fragrance/fashion brand will be unveiled in August of this year. This will be only the second standalone Mahée location — its other location is at Oxford Properties' Quartier DIX30 project in suburban Montreal (a downtown Montreal Mahée location, which opened in early 2016, closed several months ago, and currently houses a Swarovski pop-up store). We’ll update this article as things progress at Quebec’s largest shopping centre. With more than 10 million annual visitors, the 1.5 million square foot mall with 280 stores is a regional leader, and could grab even more market share as visitor numbers and spending continues to grow. Craig Patterson, now based in Toronto, is the founder and Editor-in-Chief Retail Insider. He's also a retail and real estate consultant, retail tour guide and public speaker. Follow him on Twitter @RetailInsider_, LinkedIn at Craig Patterson, or email him at: craig@retail-insider.com.